An offshore wind farm off the Mearns coast is being proposed but Aberdeenshire Council will not have the authority to approve it. Eight wind turbines could be built 15km off the coast at Stonehaven, and despite the Kincardine and Mearns Area Committee discussing the matter as consultants, the local authority will not be ones deciding whether or not the development goes ahead as it falls outwith their jurisdiction. They local committee recommended that more information was required before passing any comment on the development, but admitted they were simply on board as consultants. 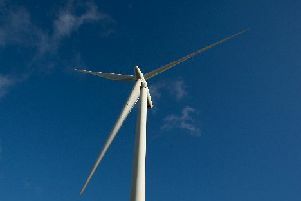 At the committee meeting on Tuesday, June 28, impressions were shown of how the turbines would be visible from the coast of Stonehaven, including at Stonehaven Golf Club and Dunnottar Castle. However, North Kincardine Councillor, Ian Mollison, raised the fact that no such imagery was made available for the visual impact elsewhere.